If you have a HondaJet order position for sale, contact our aviation resources team to learn how you can list it here at no cost. Currently you can order a HondaJet from the Honda Aircraft Company. 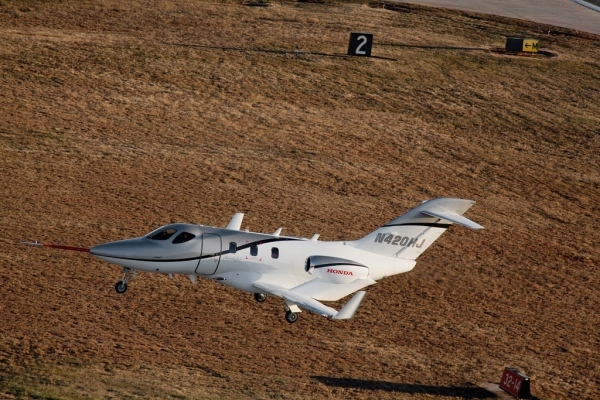 This HondaJet for Sale would be for a new aircraft and you would likely have to take a new position on the HondaJet aircraft order list. FlyRadius will post any HondaJets For Sale here when they become available or we are able to locate a Honda Jet for sale on the open aircraft market. HondaJet for Sale Photo (First Conforming HondaJet in Flight) by Honda News on Flickr (Link Broken). Photo (only) released under a Creative Commons License.